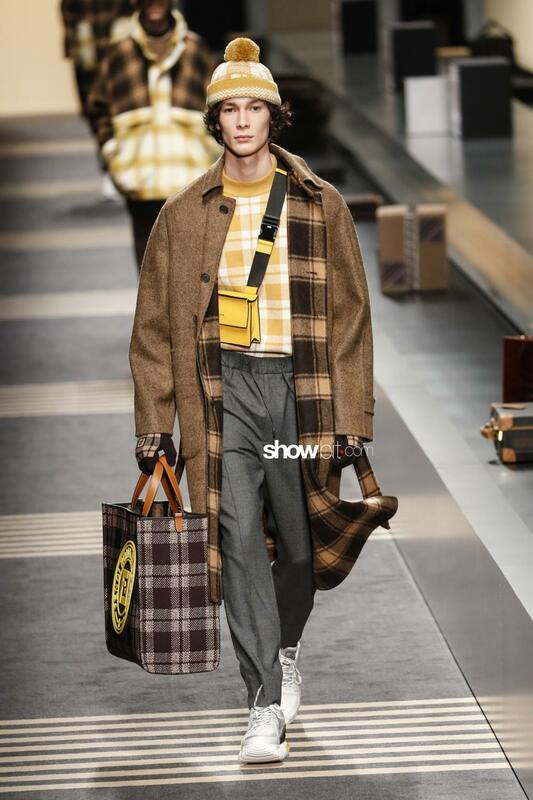 Silvia Venturini Fendi set her last fashion show in a fictitious airport: a place non-place, a crossing point that leads to other places and where different customs and traditions get in touch. 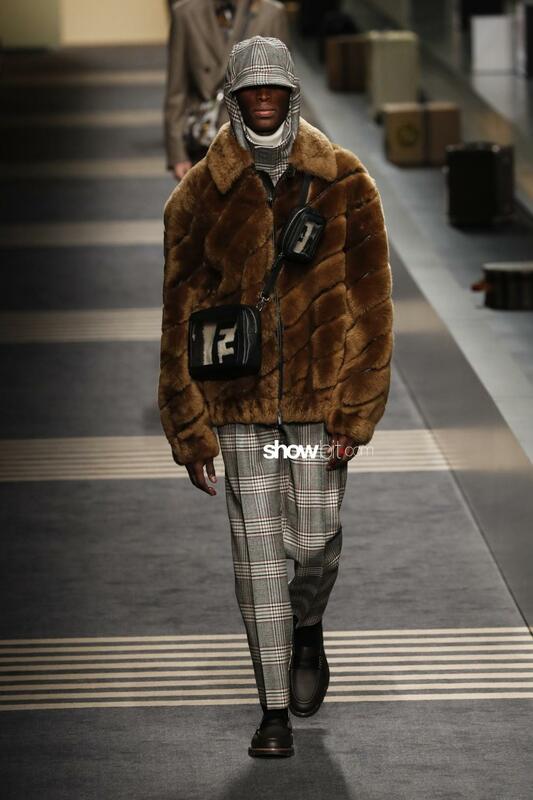 Fendi’s FW18 collection wants to be an experimentation of the brand’s pillars, thanks to the collaboration with the Scottish artist @hey_reilly. 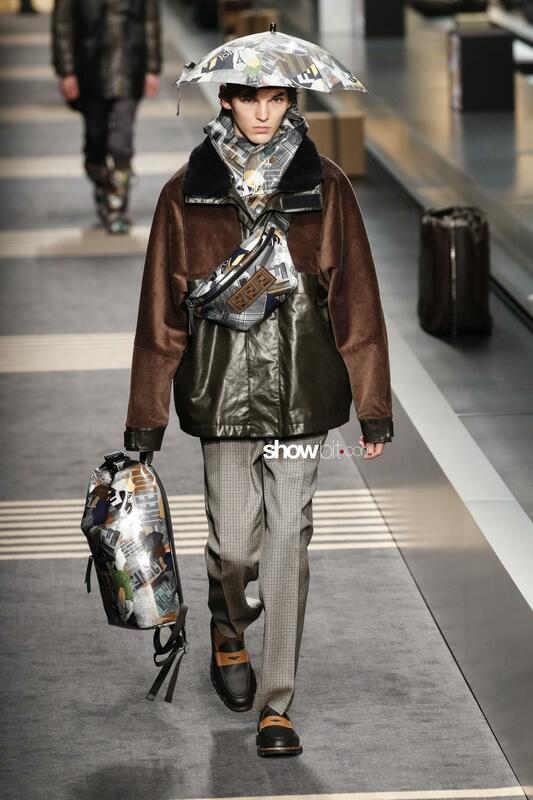 The lineup includes leather jackets and sophisticated raincoats, beside Fendi stamp-printed fur anoraks. 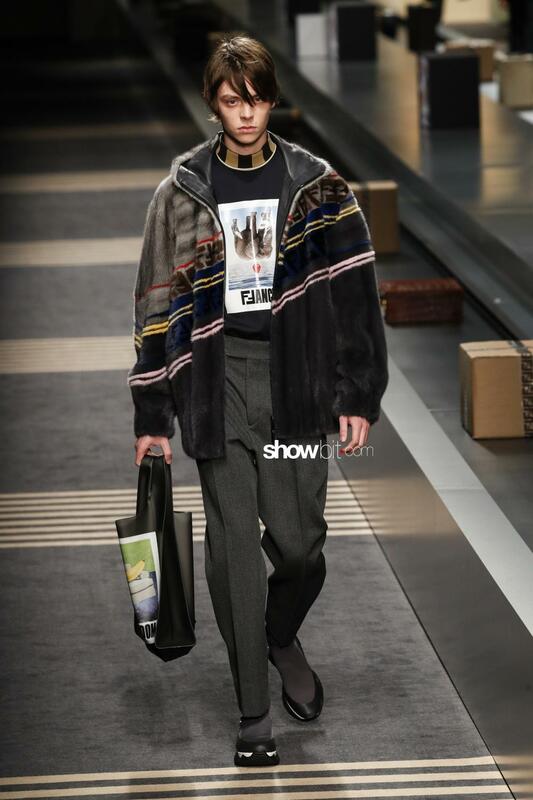 The Fendi logo is also all-over printed on clean-cut jackets lining, creating a pleasing chromatic match. 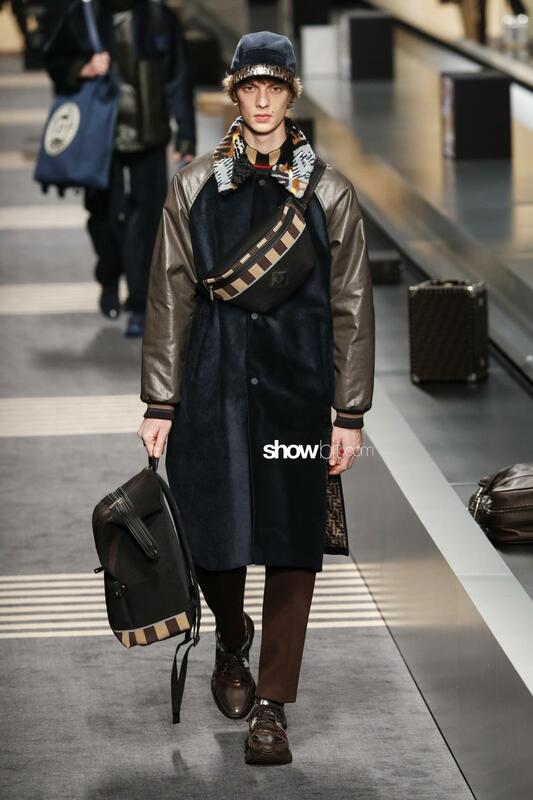 The Pequin stripes are the leitmotiv of the collection: this season the original clay brown and black stripes are diversified in new nuances and diagonally arranged. 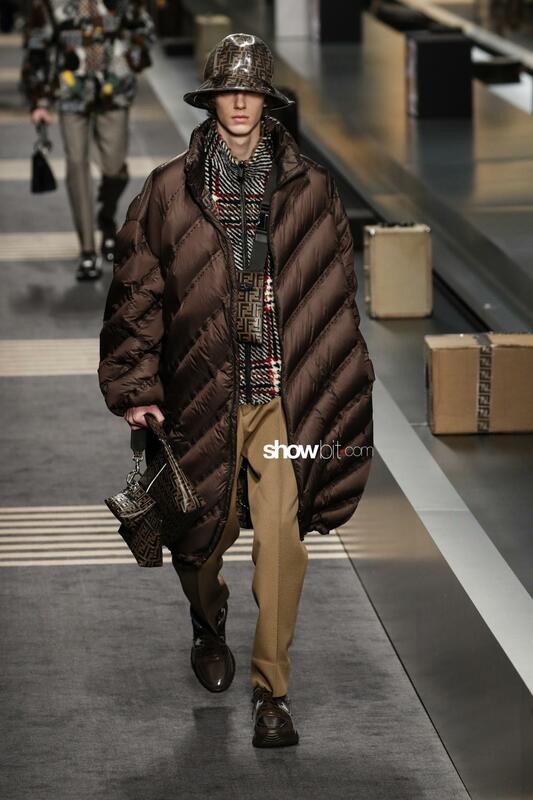 Diagonal stripes are also reproduced on quilted puffy jackets. Prince of Wales check, pied-de-poule and refined woolen tweed are employed for formal trousers suits, and an intriguing alternation of corduroy and waterproof fabrics is used to create wintery garments.